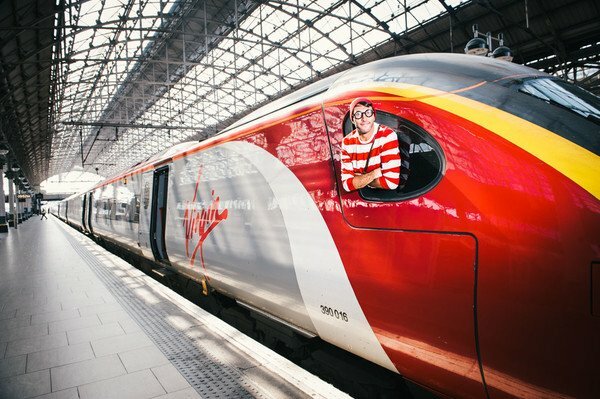 The search is on to find as many Where's Wallys as you can this summer, as part of Virgin Trains' nationwide 'Where's Wally Hunt'. One hundred replicas of the character, in his famous red and white striped outfit, have been hidden across the country for families to find over the next six weeks. Promising to keep families entertained during their summer travels, life size cut-outs and smaller transfers of Wally will be blending into real crowds, cityscapes, train stations and trains along the West Coast Main Line. Those on the hunt should head towards city landmarks and train stations to get the edge on spotting the bespectacled character, with Virgin Trains also lending a hand by releasing a series of clues via its social media channels. Steve Tennant, Executive Director of Customer Service at Virgin Trains, said: "Every kid looks forward to the summer holidays and all the fun of six weeks off; we’re always focussed on helping parents and families make the most of every second – even when travelling. Bringing Where’s Wally? into the Virgin Trains crew will make for a summer to remember and we can’t wait to take him out of the books and into the nation’s cities". To enter, simply snap a picture of yourself with a Wally on the route. Once you’ve found as many as you can, tweet the total number of Wallys you’ve found to @VirginTrains using the hashtag #FoundWally or enter via the Virgin Trains Facebook page by August 31. To find out more visit Virgin Trains Facebook, Twitter pages or website. To get a head start on your hunt for Wally, download the Virgin Red app to get 20% off your journey with Virgin Trains. Currently available on iOS only.